In 1939 Hamilton introduced the flexible lugged Wilshire. 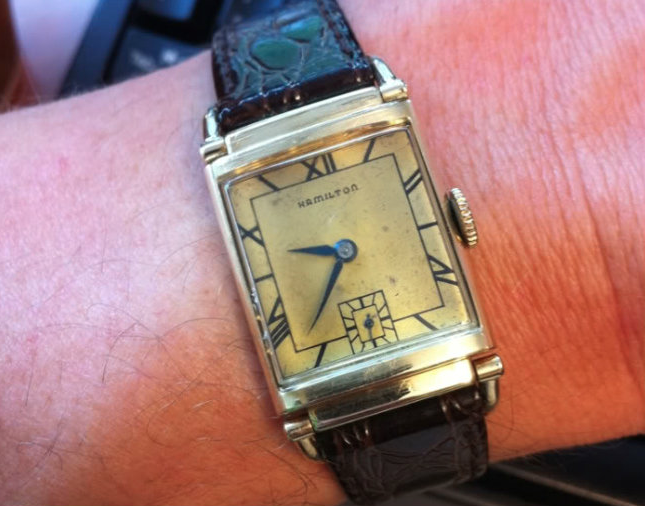 Featuring the 14/0 sized 19 jewel 982 movement, the Wilshire came in several different varieties. The Wilshire was made for three years. Initially it came in a 14K gold filled case with either an applied gold numeral dial with solid 18K gold numerals or a gilt dial with roman numerals. 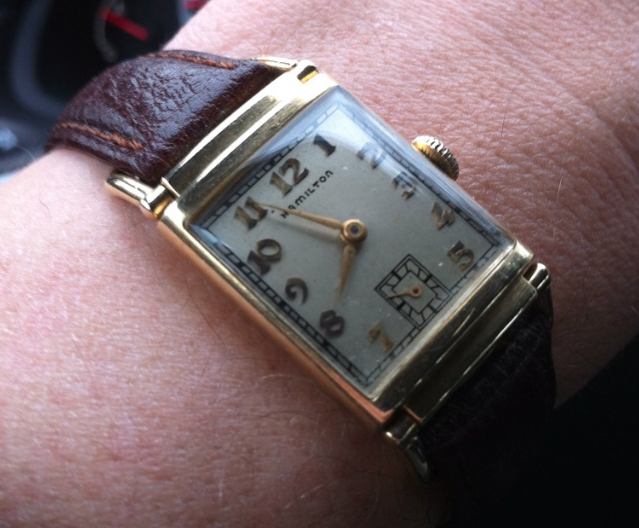 In 1941 the Wilshire was also available in rose gold, also known as coral gold. In the coral gold versions the dials were coral-themed and the applied numeral dial had white rhodium plated figures and hands. On the wrist the Wilshire is a comfortable watch but a little on the small side. Although not the smallest mans watch Hamilton made, it is certainly a good size for a woman's watch by today's standards. Thanking you in advance for any information on where to sell & value. I see them on eBay from time to time. I don't think they have a lot of value but if you look for "sold" auctions you will be able to see how the market values them. If it's clean, works, and is in nice shape - I'm sure someone would like it.